At least six new bills have been introduced in the U.S. House by Democrats eager to ban types of guns, restrict sales and fund technology to track and immobilize firearms. While the universal background check bill sponsored by U.S. Rep. Mike Thompson, D-Calif., has gotten lots of attention in the media — and has some 231 co-sponsors in the 435-seat chamber — there is a stack of less well-known legislation pending that could impact gun laws nationwide should they pass. H.R.282 by U.S. Rep. Joyce Beatty, D-OH, reaches for the rafters by authorizing a new federal ban on broadly defined semi-automatic “assault weapons” coupled with the use of tax dollars to “buy back” such outlawed guns, removing the current “default to proceed” allowance on stalled background checks for gun transfers — which could allow a check to linger indefinitely, ban some firearm accessories outright, and add “dating partners” to the list of those liable to lose their gun rights in instances of misdemeanor domestic violence. Beatty has five fellow Dems signed on as co-sponsors. H.R.717 introduced by U.S. Rep. Anthony Brown would raise the minimum age to purchase firearms nationwide to 21. Brown, a former Maryland lieutenant governor who backed strict gun control laws in that state, would change federal law so that adults aged 18 to 20 can no longer purchase rifles and shotguns. Currently, six states and the District of Columbia have raised their minimum age threshold to 21 with some allowances for younger gun ownership, and many are now the subject of legal challenges. Brown’s bill has 56 co-sponsors. H.R.869 aims to “modernize” the Undetectable Firearms Act of 1988 which currently requires each firearm to have a minimum of 3.7-ounces of stainless steel to ensure it triggers a metal detector. Sponsored by Rep. Madeleine Dean, D-Penn, she holds the increased use of polymers and 3D printed guns should mandate that any firearm “generate a gun-shaped image” in detection systems. The bill has 14 co-sponsors, all Democrat. H.R. 930 by Rep. Nydia Velázquez, D-NY, would order the Attorney General to establish a tamper-proof passive identification capability for firearms to allow them to be picked up by a mobile or fixed reading device. It currently has no co-sponsors and is a rehash of legislation filed by the Brooklyn-area Democrat in both 2015 and 2017. H.R.939 by Illinois Democrat U.S. Rep. Bradley Schneider would bring the same sort of requirements recently signed into law in his home state to gun shops in the rest of the country by requiring a series of site hardening measures of federal firearms license holders. These could include regs for alarm and security cameras as well as for retaining electronic records. Federal regulators would have the ability to suspend or revoke the licenses of those found out of compliance or reject applications of would-be gun shop owners whose security plan doesn’t pass muster. Meanwhile, local media in Illinois is reporting that a number of small gun shops, unable to afford expensive new requirements in that state, are closing their doors. H.R.942 by U.S. Rep. Jim Himes, D-Conn., would make federal grant dollars available to pay for research into the development of so-called “smart gun” technologies such as biometric or fingerprint locks. 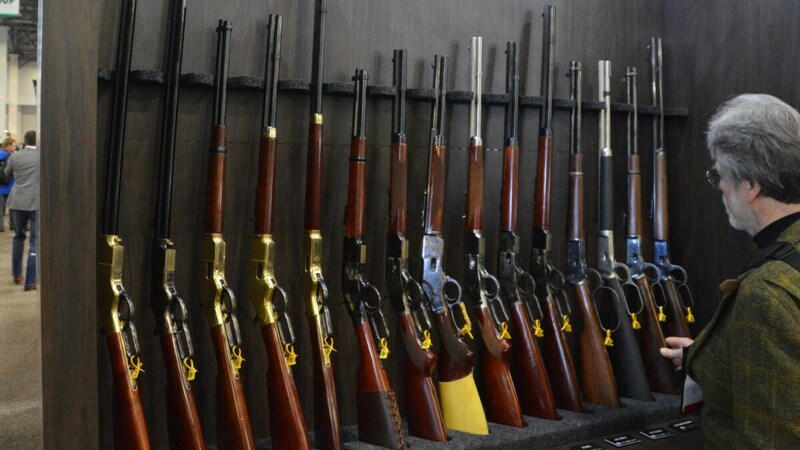 Further, it would exempt such components from the mandatory 11 percent federal firearms tax paid by makers of traditional guns. The bill has seven co-sponsors. Himes’s bill has been referred to the House Committee on Ways and Means, while the other proposals are pending in the House Committee on the Judiciary.